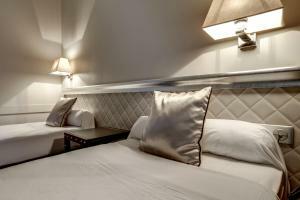 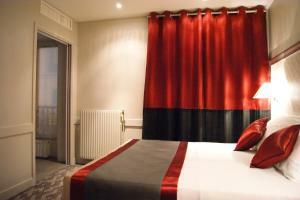 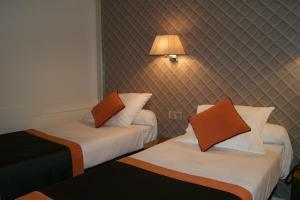 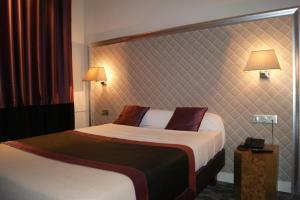 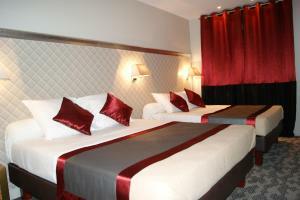 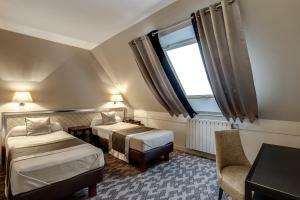 Hotel d'Amiens is located in Paris between Gare du Nord and Gare de l’Est Train Stations. 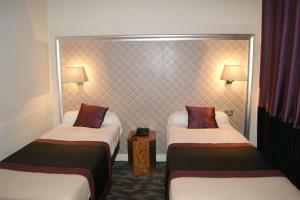 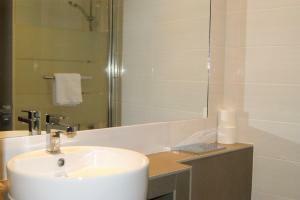 It offers rooms with a bath or a shower, satellite TV and free WiFi. 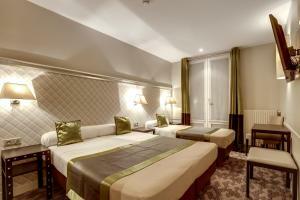 All of the rooms are serviced by a lift and the Hotel d’Amiens provides 24-hour front desk service. 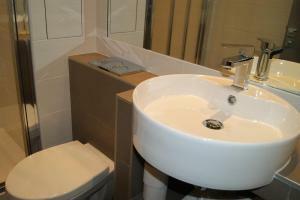 Breakfast is served daily in the dining area. 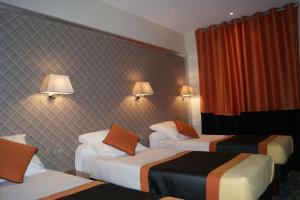 Hotel d’Amiens also has a lounge area. 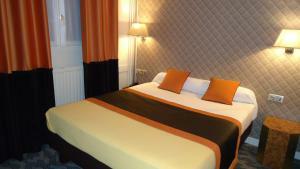 Located in Paris’s 10th arrondissement, Hotel d’Amiens is a 10-minute walk from the Saint Martin Canal. 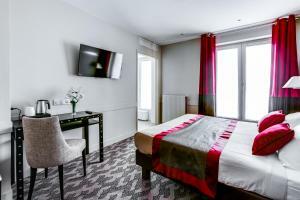 The nearby Metro Stations provide direct access to various landmarks including the Louvre Museum, Bastille and the Opera Garnier. 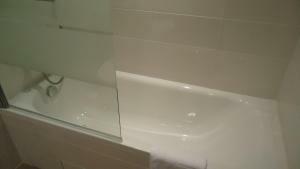 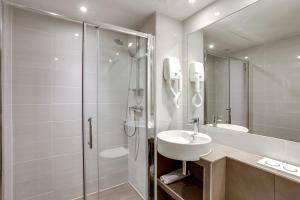 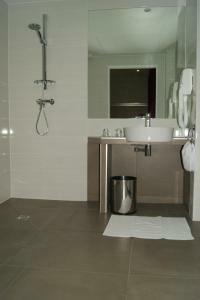 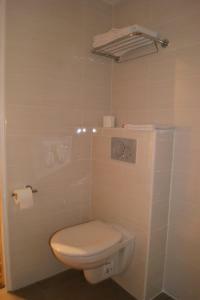 En suite room with bath or shower, satellite TV and free WiFi. 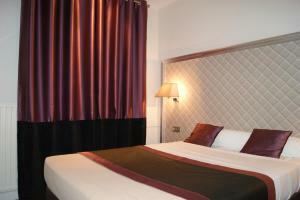 Rate: € 74.00 ... € 220.00; select dates below to get current rates. 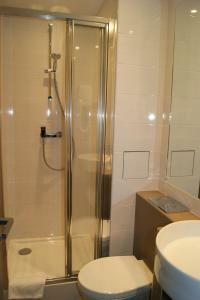 En suite room with bath or shower, TV and free WiFi. 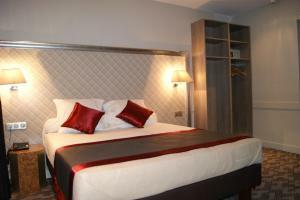 This twin/double room features a soundproofing, a TV and a bathroom with a bath or a shower. 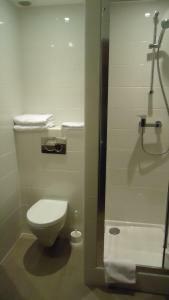 Free WiFi is included.